Since 2008, Odd Job has been amassing a loyal following of wonderful customers from all over Toronto. We have unmatched standards of workmanship and a true passion for client satisfaction. We are longtime members and supporters of Homestars, one of the companies maintaining honesty and quality in the handyman services industry. Their administrators follow up with clients and ensure authenticity in submissions. These stories were written by real people who had real problems not unlike yours. We helped them and we are here to help you replace, repair, redecorate and renovate any space in your place. You can see more of these reviews here. Justin was amazing, kind and helpful. He was there to help make my move not be stressful. He took apart all of our furniture for the bedrooms and rebuilt them in the new place. Also put together a whole master bedroom of IKEA furniture in such speed and dedication and accuracy. I needed a lot of pictures hung. We’re not talking just a few heavy pieces, but a gallery. I’m something of a collector! I decided to give them a try and I’m glad I did. They were as careful as they were fast and they were in and out. They told me where certain pictures would go best, demonstrated different angles. Justin and the guys were really friendly, always patient. Next time something goes wrong here, I know who to call! I had to write this because I myself find it hard to believe how well everything went. I was really cautious when I first picked up the phone, as I’ve had some REALLY poor experiences with contractors. My wife and I moved into our home two years ago, opting to save money – we thought – by skipping a home inspection. It was an expensive mistake, as our home turned out to have repair issues, both small and large, in multiple areas. There were areas of the attic and the basement where the drywall had been damaged and there was mould literally everywhere. There weren’t enough electrical outlets. I don’t even have enough space to describe all the issues that our home had. I thought we were going to have to call several different companies, and most likely get fleeced by at least one of them. Odd Job was a breath of fresh air. These people were never so much as a minute late, and when they were on site they didn’t waste time at all. Their answers were always informative and aimed at keeping me updated – never evasive or defensive. Everything they did, they did well. Suffice it to say that I won’t be worried the next time I need work done. I’ve got Odd Job’s number written down and memorized!! What a pleasant experience. I called Odd Job to install a few curtains on the windows in my bedroom and living room. As a renter of a small space it was important to me that the job was done cleanly and with as little disruption to moving my furniture as possible. My technician answered my questions with ease cleaned up after himself and was fun watching him work. I have recommend Odd job to my friends and family. Oddjob.ca came and did a lot of odd jobs around our house! Restained and powerwashed our deck, fixed our window and saved us a ton of $ , repaired our front door which NOBODY else could so it works finally, cleaned up leftover contractor messes for real cheap and a real nice crew that were on time and real PROS. highly recommend them! They do it all!!!! I had Justin help with the design of shelf’s for storage. They were custom designed. A superb job was done. The work went smoothly, no hitches, and done in a very timely manner. If I ever need anything fixed again (or built or renovated) I will call Justin at Odd Job. He’s professional, knowledgable, friendly, helpful — and so tidy! I contacted Odd Job to install a ceiling fan. Was able to get an appointment the next day. Justin had the fan up in just over an hour. While he was at my condo he checked out another issue, and offered advice. The next day he came back to fix my toilet and install a new faucet — in 40 minutes! It can be difficult to find a trustworthy, detail-oriented plumber/electrician/contractor. Justin’s the guy. He’s genuine and really seems to love what he does. Reasonable prices, too. – Rev. Dr. Gilles Mongeau, S.J. We’d like to make you as happy as we made these fine people, and give you the chance to add your own story to these testimonials. Fill out our online “book-a-handyman” form today! 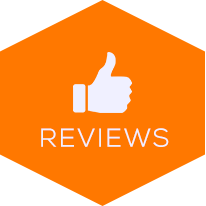 Pingback: Don't Be Fooled By Fake Reviews | Odd Job Handyman Services, Inc.